Randwick City Library offers a great selection of online resources to support your study. 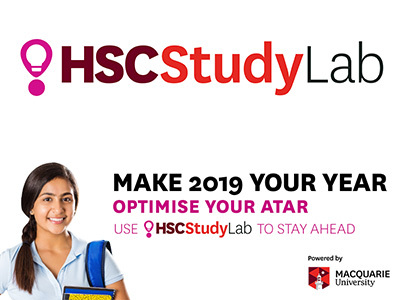 HSC Study Lab is an online HSC study companion, exam preparation and revision tool for students in Years 11 and 12. It can help with understanding difficult concepts, preparing for assessments, homework, and exam revision. The online learning platform can be accessed 24/7 anytime, anywhere and is free for Library members. Courses are based on the aims and objectives of the NSW syllabus, and are delivered by expert teachers with extensive knowledge in marking. Content for the new syllabuses is covered through video lessons and animations, games and simulators, and hundreds of practice questions.